Can PV Sindhu get back on track after disappointment in Denmark? After a disappointing campaign at last week’s Denmark Open Superseries Premier, the entire Indian contingent will be looking to bounce back strongly in this week’s French Open Superseries to be held in Paris. The onus definitely lies on the Rio Olympic silver medallist PV Sindhu’s young shoulders to lead the challenge and make an impact. Will she be up to the task? It had not been an easy return to the circuit for PV Sindhu following her silver medal win at the 2016 Rio Olympics. Expectations are higher now and so is the pressure. She made her comeback at the Denmark Open Superseries Premier but it did not go the way she would have liked. Her run was cut short in the second round where she saved a couple of match points but eventually fell to lower-ranked Sayaka Sato of Japan. The French Open Superseries this week presents a golden opportunity for her to quickly rebound from that setback and make an impression again. The draw too has opened up after the top two seeds – Olympic champion Carolina Marin and the former world champion Ratchanok Intanon have pulled out. Intanon was supposed to be Sindhu’s quarter-final opponent. Now with her withdrawal, there is no reason why Sindhu cannot make the semi-finals if she plays with the same courage and conviction that she showed at the Olympics this year. But first up for her is the 34th ranked Hong Kong shuttler, Yip Pui Yin. The World No. 8 has a 1-0 head-to-head record over Yin and their only showdown happened at the Denmark Open two years ago which the Indian won in straight games. Yin had endured opening-round exits in her last three tournaments, losing all of them in straight games. If Sindhu does manage to exhibit her natural attacking game, it should be a breezy win for the Indian. 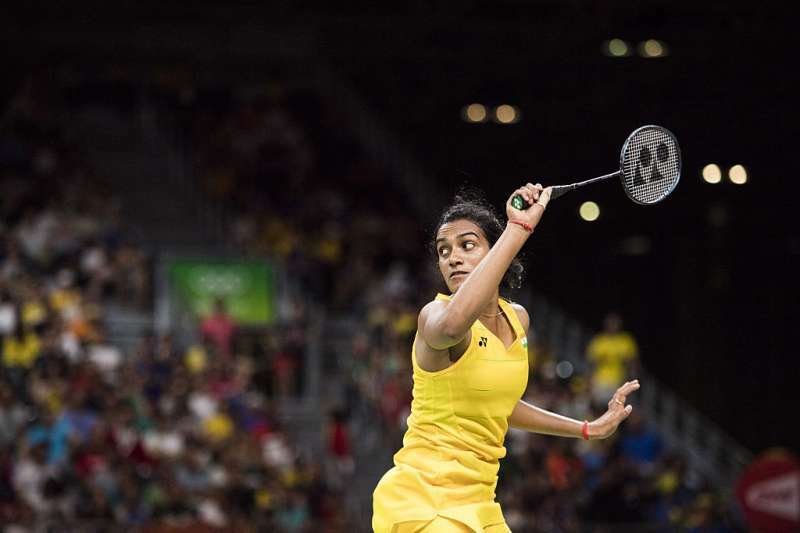 Singapore Open 2019: PV Sindhu, Saina Nehwal, and Kidambi Srikanth progress into the 2nd round.